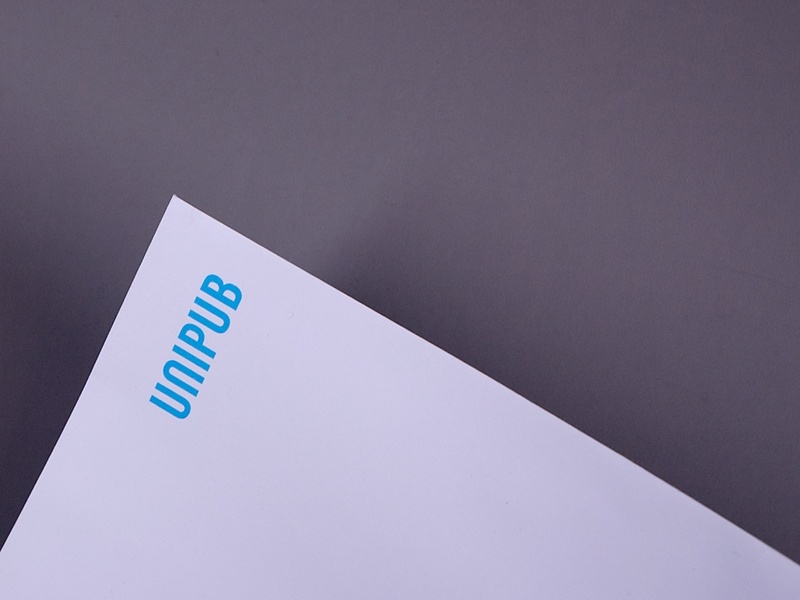 Unipub asked us to create a corporate identity for them with a purely typographic logo. One of the challenges was to make a logo that was suitable for use on book spines. 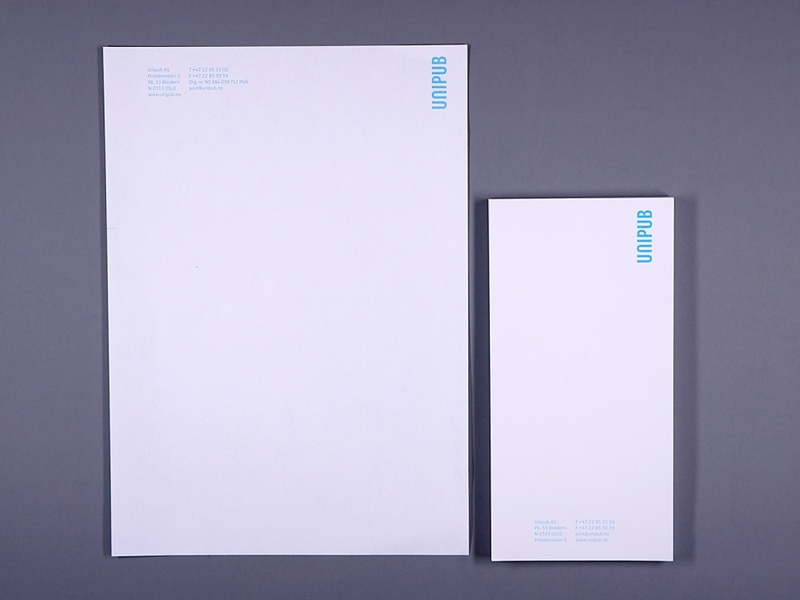 We suggested drawing upon this problem when creating the visual identity. 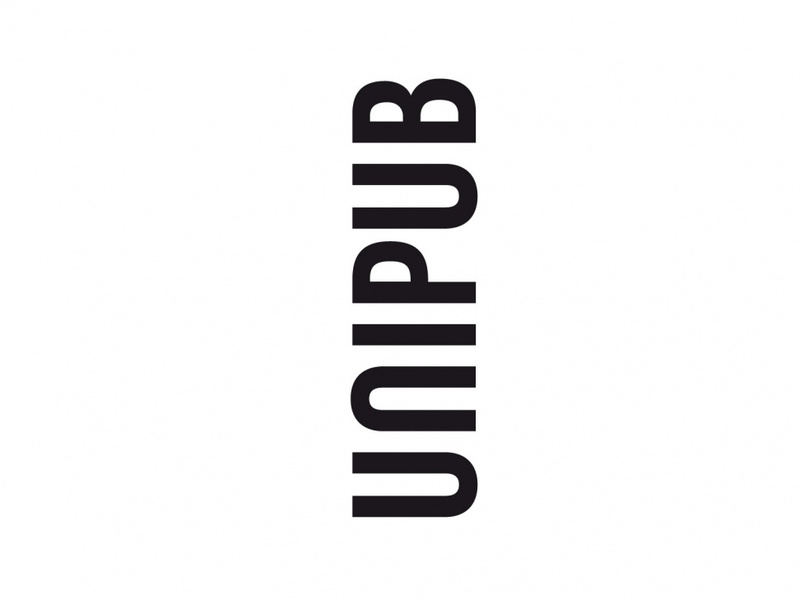 The logo is always shown vertically and has a fixed margin, making visual reference to a book spine.